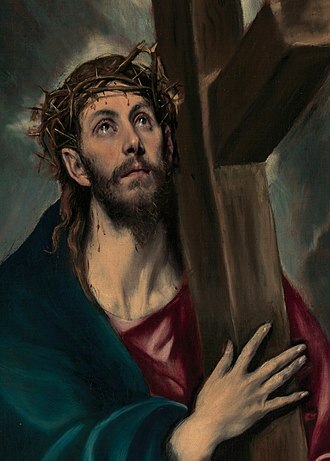 The crucifix is a principal symbol for many groups of Christians, and one of the most common forms of the Crucifixion in the arts. It is especially important in the Latin Rite of the Roman Catholic Church, but is also used in the Orthodox, Oriental Orthodox, Assyrian, and Eastern Catholic Churches, as well as by the Lutheran and Anglican Churches. The symbol is less common in churches of other Protestant denominations, which prefer to use a cross without the figure of Jesus (the corpus). The crucifix emphasizes Jesus' sacrifice — his death by crucifixion, which Christians believe brought about the redemption of mankind. Most crucifixes portray Jesus on a Latin cross, rather than any other shape, such as a Tau cross or a Coptic cross. The standard, four-pointed Latin crucifix consists of an upright post or stipes and a single crosspiece to which the sufferer's arms were nailed. There may also be a short projecting nameplate, showing the letters INRI (Greek: INBI). The Russian Orthodox crucifix usually has an additional third crossbar, to which the feet are nailed, and which is angled upward toward the penitent thief Saint Dismas (to the viewer's left) and downward toward the impenitent thief Gestas (to the viewer's right). 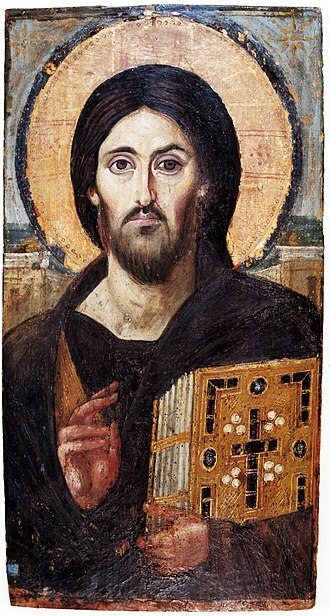 The corpus of Eastern crucifixes is normally a two-dimensional or low relief icon that shows Jesus as already dead, his face peaceful and somber. 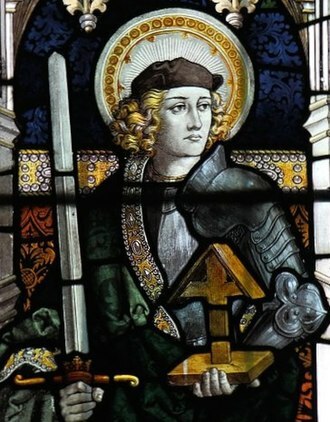 They are rarely three-dimensional figures as in the Western tradition, although these may be found where Western influences are strong, but are more typically icons painted on a piece of wood shaped to include the double-barred cross and perhaps the edge of Christ's hips and halo, and no background. More sculptural small crucifixes in metal relief are also used in Orthodoxy (see gallery examples), including as pectoral crosses and blessing crosses. 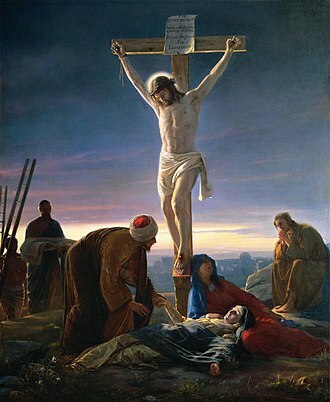 Western crucifixes may show Christ dead or alive, the presence of the spear wound in his ribs traditionally indicating that he is dead. In either case his face very often shows his suffering. 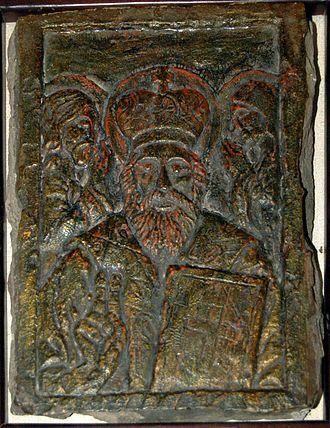 In Orthodoxy he has normally been shown as dead since around the end of the period of Byzantine Iconoclasm. Eastern crucifixes have Jesus' two feet nailed side by side, rather than crossed one above the other, as Western crucifixes have shown them since around the 13th century. 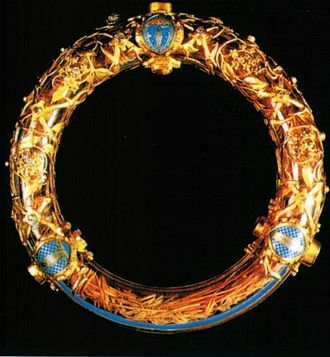 The crown of thorns is also generally absent in Eastern crucifixes, since the emphasis is not on Christ's suffering, but on his triumph over sin and death. 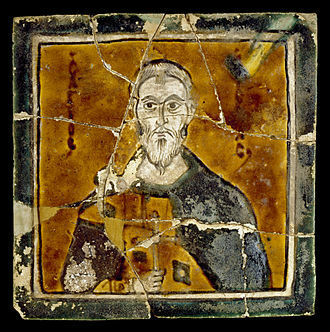 The "S"-shaped position of Jesus' body on the cross is a Byzantine innovation of the late 10th century, though also found in the German Gero Cross of the same date. 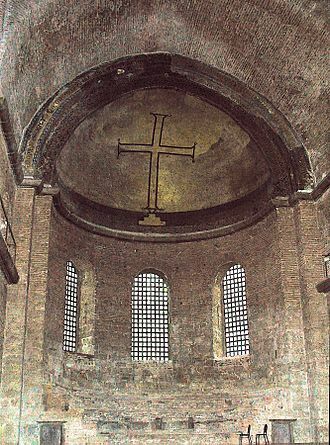 Probably more from Byzantine influence, it spread elsewhere in the West, especially to Italy, by the Romanesque period, though it was more usual in painting than sculpted crucifixes. It's in Italy that the emphasis was put on Jesus' suffering and realistic details, during a process of general humanization of Christ favored by the Franciscan order. During the 13th century the suffering Italian model (Christus patiens) triumphed over the traditional Byzantine one (Christus gloriosus) anywhere in Europe also due to the works of artists such as Giunta Pisano and Cimabue. Since the Renaissance the "S"-shape is generally much less pronounced. Eastern Christian blessing crosses will often have the Crucifixion depicted on one side, and the Resurrection on the other, illustrating the understanding of Orthodox theology that the Crucifixion and Resurrection are two intimately related aspects of the same act of salvation. Another, symbolic, depiction shows a triumphant Christ (Latin: Christus triumphans), clothed in robes, rather than stripped as for His execution, with arms raised, appearing to rise up from the cross, sometimes accompanied by "rays of light", or an aureole encircling His Body. He may be robed as a prophet, crowned as a king, and vested in a stole as Great High Priest. Prayer in front of a crucifix, which is seen as a sacramental, is often part of devotion for Christians, especially those worshipping in a church, also privately. The person may sit, stand, or kneel in front of the crucifix, sometimes looking at it in contemplation, or merely in front of it with head bowed or eyes closed. 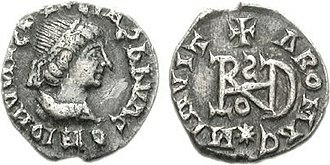 During the Middle Ages small crucifixes, generally hung on a wall, became normal in the personal cells or living quarters first of monks, then all clergy, followed by the homes of the laity, spreading down from the top of society as these became cheap enough for the average person to afford. Most towns had a large crucifix erected as a monument, or some other shrine at the crossroads of the town. By the 19th century displaying a crucifix somewhere in the general reception areas of a house became typical of Catholic homes. Richer Catholics could afford a room set aside for a chapel. Roman Catholic (both Eastern and Western), Eastern Orthodox, Oriental Orthodox, Anglican and Lutheran Christians generally use the crucifix in public religious services. They believe use of the crucifix is in keeping with the statement by Saint Paul in Scripture, "we preach Christ crucified, a stumbling block to Jews and folly to Gentiles, but to those who are called, both Jews and Greeks, Christ the power of God and the wisdom of God". In the West altar crosses and processional crosses began to be crucifixes in the 11th century, which became general around the 14th century, as they became cheaper. The Roman Rite requires that "either on the altar or near it, there is to be a cross, with the figure of Christ crucified upon it, a cross clearly visible to the assembled people. It is desirable that such a cross should remain near the altar even outside of liturgical celebrations, so as to call to mind for the faithful the saving Passion of the Lord." The requirement of the altar cross was also mentioned in pre-1970 editions of the Roman Missal, though not in the original 1570 Roman Missal of Pope Pius V. The Rite of Funerals says that the Gospel Book, the Bible, or a cross (which will generally be in crucifix form) may be placed on the coffin for a Requiem Mass, but a second standing cross is not to be placed near the coffin if the altar cross can be easily seen from the body of the church. Eastern Christian liturgical processions called crucessions include a cross or crucifix at their head. In the Eastern Orthodox Church, the crucifix is often placed above the iconostasis in the church. In the Russian Orthodox Church a large crucifix ("Golgotha") is placed behind the Holy Table (altar). During Matins of Good Friday, a large crucifix is taken in procession to the centre of the church, where it is venerated by the faithful. 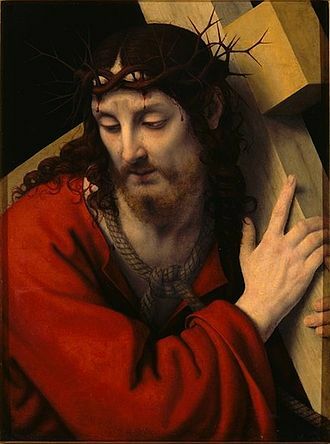 Sometimes the soma (corpus) is removable and is taken off the crucifix at Vespers that evening during the Gospel lesson describing the Descent from the Cross. The empty cross may then remain in the centre of the church until the Paschal vigil (local practices vary). The blessing cross which the priest uses to bless the faithful at the dismissal will often have the crucifix on one side and an icon of the Resurrection of Jesus on the other, the side with the Resurrection being used on Sundays and during Paschaltide, and the crucifix on other days. 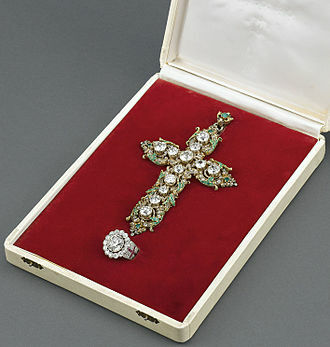 Exorcist Gabriele Amorth has stated that the crucifix is one of the most effective means of averting or opposing demons. In folklore, it is believed to ward off vampires, incubi, succubi, and other evils. 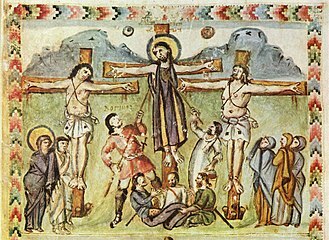 The Lutheran Churches retained the use of the crucifix, "justifying "their continued use of medieval crucifixes with the same arguments employed since the Middle Ages, as is evident from the example of the altar of the Holy Cross in the Cistercian church of Doberan." Martin Luther did not object to them, and this was among his differences with Andreas Karlstadt as early as 1525. At the time of the Reformation, Luther retained the crucifix in the Lutheran Church and they remain the center of worship in Lutheran parishes across Europe. In the United States, however, Lutheranism came under the influence of Calvinism, and the plain cross came to be used in many churches. In contrast to the practice of the Lutheran Churches, the early Reformed Churches rejected the use of the crucifix, and indeed the unadorned cross, along with other traditional religious imagery, as idolatrous. Calvin, considered to be the father of the Reformed Church, was violently opposed to both cross and crucifix. In England, the Royal Chapels of Elizabeth I were most unusual among local churches in retaining crucifixes, following the Queen's conservative tastes. 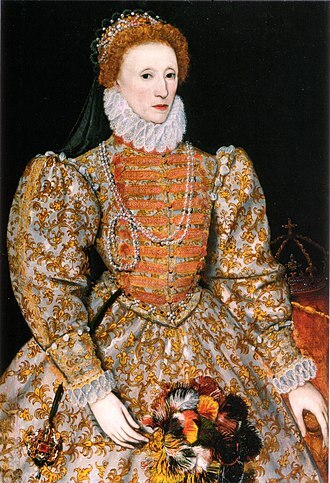 These disappeared under her successor, James I, and their brief re-appearance in the early 1620s when James' heir was seeking a Spanish marriage was the subject of rumour and close observation by both Catholics and Protestants; when the match fell through they disappeared. In 2005, a mother accused her daughter's school in Derby, England, of discriminating against Christians after the teenager was suspended for refusing to take off a crucifix necklace. A British prison ordered a multi-faith chapel to remove all crucifixes "in case it offends Muslims." In 2008 in Spain, a local judge ordered crucifixes removed from public schools to settle a decades-old dispute over whether crucifixes should be displayed in public buildings in a non-confessional state. A 2008 Quebec government-commissioned report recommended that the crucifix of the National Assembly be removed to achieve greater pluralism, but the Liberal government was supported in its refusal by a consensus of most legislators. On 18 March 2011, the European Court of Human Rights ruled in the Lautsi v. Italy case, that the requirement in Italian law that crucifixes be displayed in classrooms of state schools does not violate the European Convention on Human Rights. Crucifixes are common in most other Italian official buildings, including courts of law. 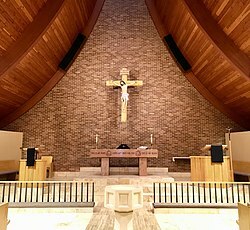 ^ Our Savior's Lutheran Church, "Sanctuary and Chapel"
^ "Welcome to the Worlds Largest Crucifixion". Michigan Interactive. Michigan Interactive. Retrieved 30 June 2010. ^ Marquardt, Janet T.; Jordan, Alyce A. (14 January 2009). Medieval Art and Architecture after the Middle Ages. 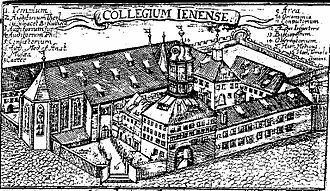 Cambridge Scholars Publishing. p. 71. ISBN 9781443803984. Wikimedia Commons has media related to Crucifixes. Cimabue, known as Cenni di Pepo or Cenni di Pepi, was a Florentine painter and designer of mosaics. 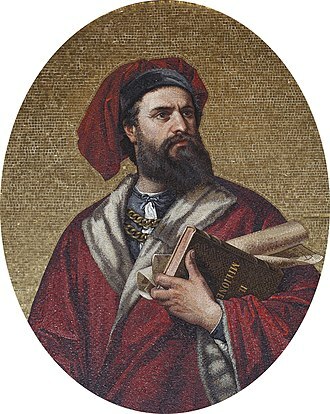 Although heavily influenced by Byzantine models, Cimabue is generally regarded as one of the first great Italian painters to break from the Italo-Byzantine style, according to Italian painter and historian Giorgio Vasari, Cimabue was the teacher of Giotto, the first great artist of the Italian Proto-Renaissance. However, many scholars today tend to discount Vasaris claim, citing earlier sources which suggest this was not the case, little is known about Cimabues early life. One source that recounts his career is Giorgio Vasaris Lives of the Most Excellent Painters, Sculptors and he was born in Florence and died in Pisa. 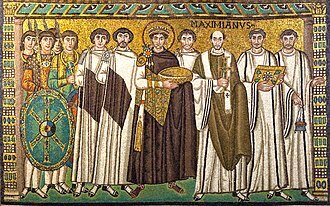 Hayden Maginnis speculates he could have trained in Florence under masters culturally connected to Byzantine art, many scholars today discount Vasaris claim that he had Giotto as his pupil, citing earlier sources which suggest this was not the case. Cimabues Christ is bent and the clothes have the golden striations introduced by Coppo di Marcovaldo, around 1272 Cimabue is documented as being present in Rome, and a little he made another Crucifix for the Florentine church of Santa Croce. In the same period, Cimabue painted the Maestà, originally displayed in the church of San Francesco at Pisa and this work established a style which was followed subsequently by numerous artists, including Duccio di Buoninsegna in his Rucellai Madonna, as well as Giotto. A workshop painting, perhaps assignable to a period, is the Maestà with Saints Francis. During the pontificate of Pope Nicholas IV, the first Franciscan pope, at Assisi, in the transept of the Lower Basilica of San Francesco, he created a fresco named Madonna with Child Enthroned, Four Angels and St Francis. The left portion of this fresco is lost, but it may have shown St Anthony of Padua, Cimabue was subsequently commissioned to decorate the apse and the transept of the Upper Basilica of Assisi, in the same period of time that Roman artists were decorating the nave. The cycle he created there comprises scenes from the Gospels, the lives of the Virgin Mary, St Peter and these paintings are now in poor condition due to the oxidation of the brighter colors which the artist used. Giunta Pisano was an Italian painter. 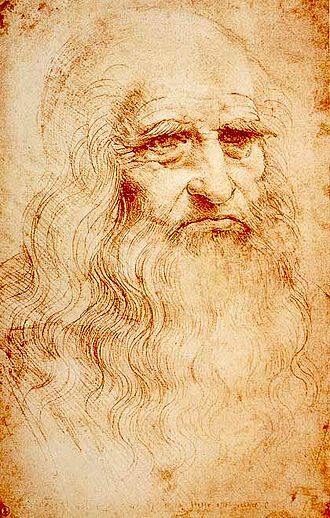 He is the earliest Italian painter whose name is inscribed on an extant work. 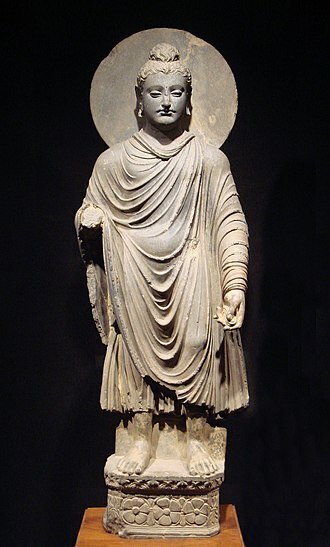 He is best known for his crucifixes and he is said to have exercised his art from 1202 to 1236. There is some ground for thinking that his name was Capiteno or Capitino. 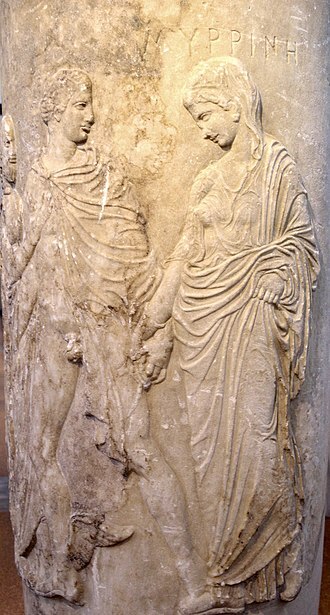 Giunta Pisano usually painted upon cloth stretched on wood, and prepared with plaster, the inscribed work, referred above, is one of his earliest. It is the Crocefisso di San Raniero, a crucifix, that hung a long time in the kitchen of the convent of St Anne in Pisa. 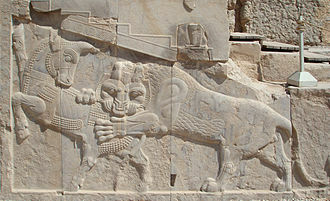 Other Pisan works of about the date are very barbarous. His masterpiece is the imposing Crucifix in the transept of Basilica of Saint Dominic in Bologna. 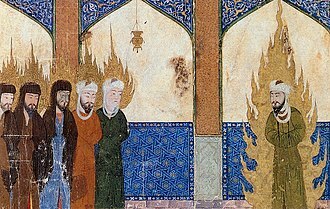 It is still influenced by the Byzantine style and represents one of the best examples of 13th-century Italian painting. Another thoroughly Giuntesque Crucifixion is the wing of a diptych from the Veneto. 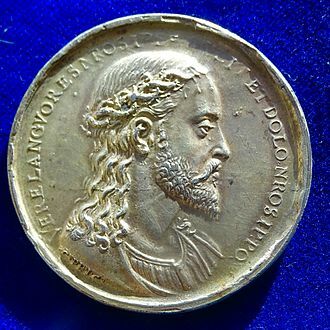 A number of unknown Italian artists have identified as members of Giuntas circle, among them are the Master of the Blue Crucifixes, the Master of the Treasury. In the New Testament, Jesus is referred to as the King of the Jews, both at the beginning of his life and at the end. 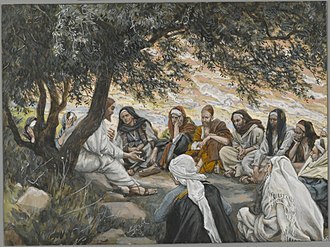 In the Koine Greek of the New Testament, e. g. in John 19,3, both uses of the title lead to dramatic results in the New Testament accounts. In the account of the Nativity of Jesus in the Gospel of Matthew, the Greek version of the initialism read ΙΝΒΙ, representing Ἰησοῦς ὁ Ναζωραῖος ὁ Bασιλεὺς τῶν Ἰουδαίων which is best translated, Jesus the Nazorean, King of the Judeans. In the New Testament, the King of the Jews” title is used only by the gentiles, namely by the Magi, Pontius Pilate, in contrast, the Jewish leaders use the designation King of Israel. 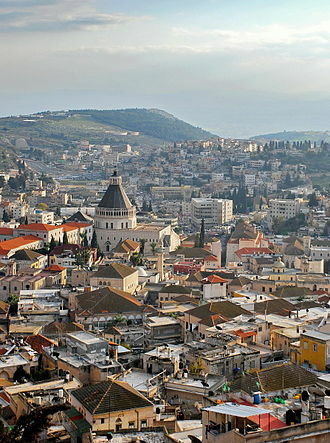 The phrase has been translated King of the Judeans, the question troubles Herod who considers the title his own, and in Matthew 2, 7-8 he attempts to trick the Magi to reveal the exact location of the newborn King of the Jews. In the accounts of the Passion of Jesus, the title King of the Judeans is used on three separate occasions. The use of the terms King and Kingdom and the role of the Jews in using the term King to accuse Jesus are central in the discussion between Jesus and Pilate. In John 18,34, Jesus hints that the King accusation did not originate with Pilate but with others and, in John 18,36, he states, Jesus does not directly deny being the King of the Jews. 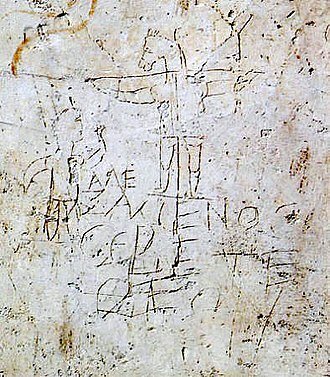 In the New Testament, Pilate writes Jesus the Nazarene, King of the Judeans as a sign to be affixed to the cross of Jesus. John 19,21 states that the Jews told Pilate, Do not write King of the Jews but instead write that Jesus had merely claimed that title, Pilates response to the protest is recorded by John, What I have written, I have written. 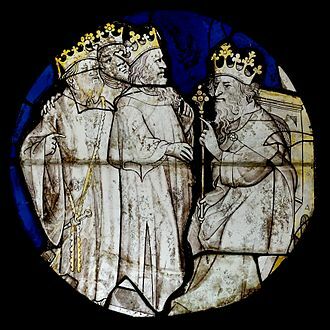 The continued reliance on the use of the term King by the Judeans to press charges against Jesus is a key element of the decision to crucify him. In John 19,12, the Jews cry out and we have no king but Caesar. The final use of the title appears in Luke 23. In the parallel account in Matthew 27,42, the Jewish priests mock Jesus as King of Israel, saying, He is the King of Israel, let him now come down from the cross, and we will believe on him. Coptic priest holding a hand-held blessing cross (Cairo 2010). Jesus, crowned with thorns in a purple robe as the King of the Jews, being mocked and beaten during his Passion, depicted by van Baburen, 1623. Eastern Orthodox crucifix, displays the lettering in Greek: ΙΝΒΙ (Trapeza of Holy Trinity Monastery, Meteora, Greece). "Christ and the Thief" by Nikolai Ge. 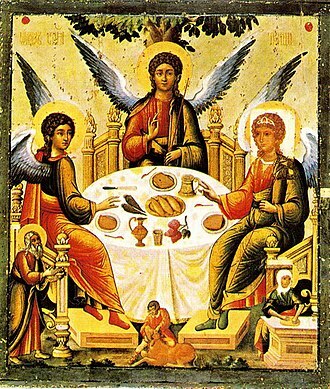 Icon showing Christ (center) bringing Dismas (left) into Paradise. At the right are the Gates of Paradise, guarded by a seraph (Solovetsky Monastery, 17th century).